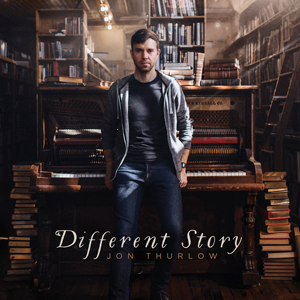 Jon Thurlow has released “Different Story” through Forerunner Music and all songs are now loaded into WorshipTeam.com “Different Story” is a recording of some great new songs. Written and recorded in the middle of a stormy season of life, and a three-year journey in the making, this album is a grace of God album. He brought it all together. The entire process has been a testimony of His mercy, His gentleness, and His faithfulness. Interwoven into these songs are parts of my own journey with Him, my prayers to Him, as well as His words to me (and to all of us). May we each come up from the wilderness leaning on Him. 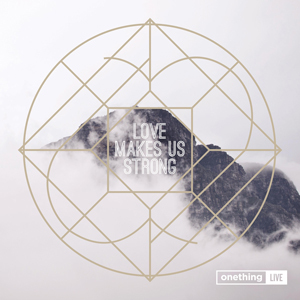 Onething has released “Love Makes Us Strong” through Forerunner Music and all songs are now loaded into WorshipTeam.com “Love Makes Us Strong” is a live recording of some great new songs. Forerunner Music, the official record label of the International House of Prayer of Kansas City (IHOPKC), releases its much anticipated music offering, Onething Live: Love Makes Us Strong, April 15 through digital and physical retail outlets everywhere with New Day Distribution. Recorded live at IHOPKC’s annual Onething young adult conference last December (Dec. 28 – 31) and marking the eighth live Onething album to date, Love Makes Us Strong is an authentic worship collection of some of the most powerful and memorable songs from the event led by members of the IHOPKC worship team. Drawing more than 15,000 church leaders and young people from congregations all across the world each year with as many as an additional 500,000 participants via live broadcasts, the 14th year-end premier event united fiery worshipers for a time of prayer, teaching and revival as IHOPKC hosted its annual Onething conference at the Kansas City Convention Center in Kansas City, MO. Capturing the energetic atmosphere and vibrant worship from the 2015 conference, Love Makes Us Strong encourages listeners to encounter Jesus in a tangible way and to passionately live out the message of Christ in their own lives. Highlights from the 13-track album centered around the unifying theme of ‘Love Makes Us Strong’ include new songs from established Forerunner Music artists Misty Edwards, Laura Hackett Park, Jonas Park, Jon Thurlow, Jaye Thomas and more. The album also features songs from four International House of Prayer worship leaders appearing on a Onething album for the first time: Brenton Dowdy, Lauren Holmes, Christina Reynolds and Chris Tofilon. Sharing a spirit of unity in reverence to God, newcomer Brenton Dowdy sings of ‘one Kingdom’ and ‘one throne’ with his offering of “Enthroned On Our Praises,” while Laura Hackett Park takes the lead on the cover of the Chris Tomlin song “Even So Come.” Hackett Park further invites listeners to experience the love of Christ that “makes us strong” and to share it with one another with the spontaneous title track that declares with its resounding chorus: We are the church / We are the bride / Love makes us strong / To Lay down our lives. All songs are loaded and ready to use- just access your WorshipTeam.com system database. 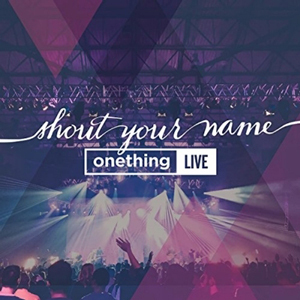 Onething Live has released “Shout Your Name” through Forerunner Music and all songs are now loaded into WorshipTeam.com “Shout Your Name” is a live recording of some great new songs. Shout Your Name is the musical evidence of the Onething Young Adult Conference held last December. With tracks ranging from joyous proclamations of God’s goodness to heartfelt prayers, the album encourages worshippers to draw near to the heart of a God who is always faithful. All songs are loaded and ready to use- just access your WorshipTeam.com system database. 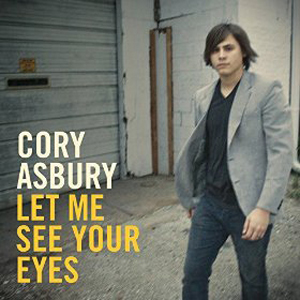 Cory Asbury has released “Let Me See Your Eyes” through Forerunner Music and all songs are now loaded into WorshipTeam.com “Let Me See Your Eyes” is a recording of some great new songs. Cory Asbury’s first solo album, Let Me See Your Eyes, is a collection of indie-pop songs reflecting Cory’s passion to see Jesus more clearly and to feel His presence. Cory’s honest lyrics express his heart’s cry to know the beauty of Christ. He sings with an ease that invites you to sing along and enjoy the nearness of the Holy Spirit. The variety of genres on Let Me See Your Eyes makes it unique as a worship album. The heartbeat of the album is a pledge of commitment and devotion to Jesus, poured out through imaginative melodies and instrumental interludes. Many musical styles are expressed in Let Me See Your Eyes, from soul to rap to electro beats. This music is fueled by an unquenchable desire to behold God and be changed into His likeness. The album’s driving rhythms and punctuated vocals create an atmosphere for radical worship, as Cory sings about God’s splendor and excellence. Let Me See Your Eyes encourages you to celebrate the goodness of the Lord. All songs are loaded and ready to use- just access your WorshipTeam.com system database.